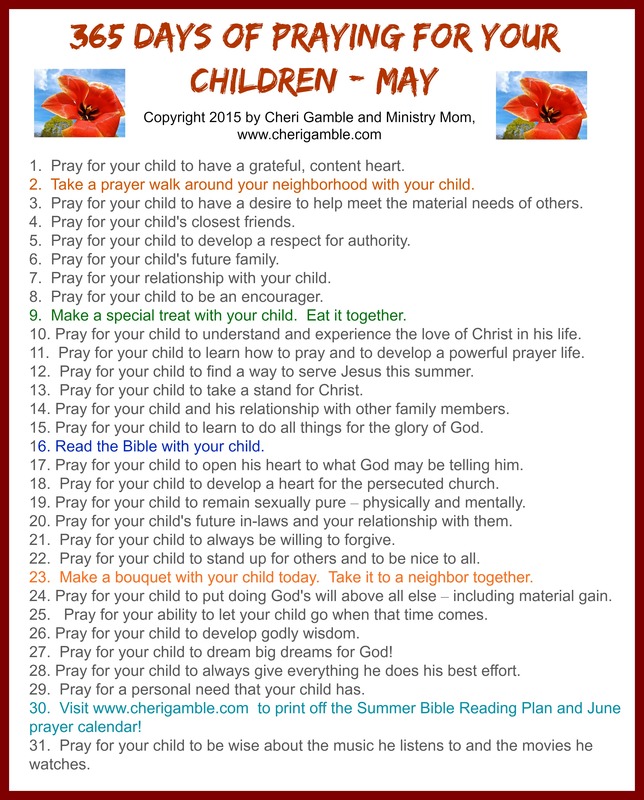 This post contains a printable prayer list with specific ideas of how to pray for your children throughout the month of May. As parents we want so much for our children, but we need to remind ourselves that WE are not the ones in control of their lives. We need to daily place our children into the hands of God and trust Him with the results. Intentionally and specifically praying for our children on a daily basis is the absolute most important thing we can do for our kids! 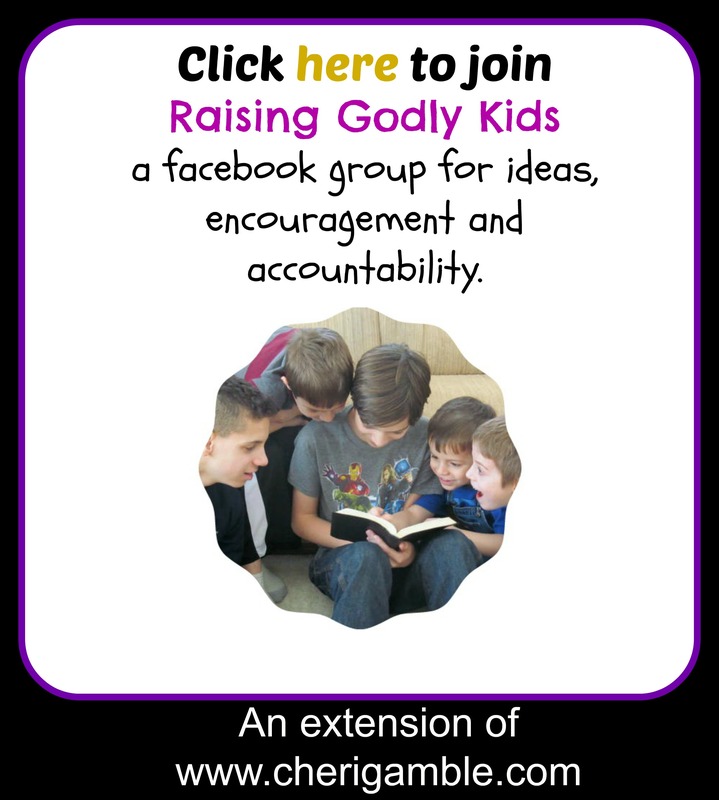 I hope that this prayer guide will help you focus your prayers for your kids as you seek to raise godly children in today’s society. 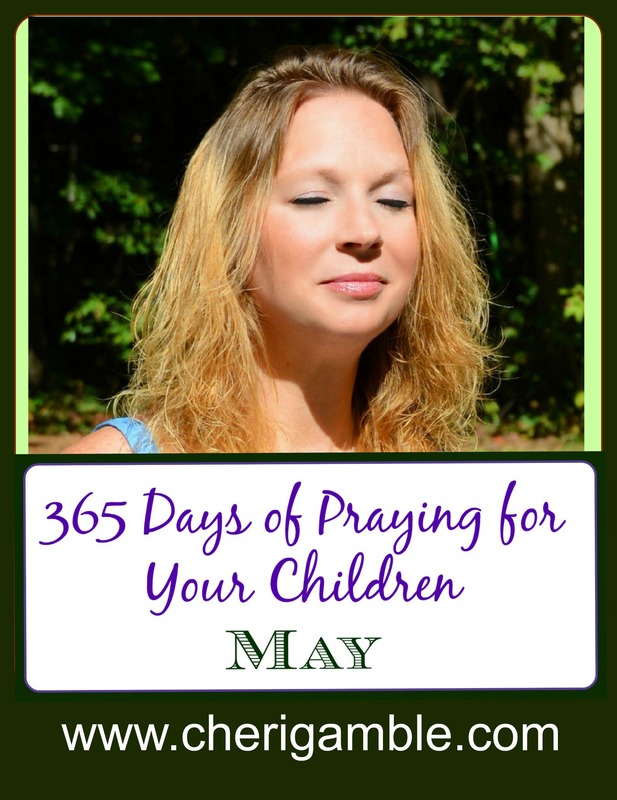 And now here is the prayer calendar for May. Print it off or scroll down and see the entire list right here on this page. And if you enjoy the prayer calendar, please share this post with your friends so they can use it too! Thanks! Have a great May and KEEP PRAYING!